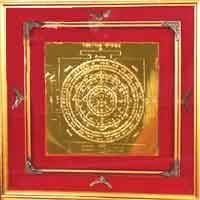 This yantra is attributed to wealth lord Kuber. 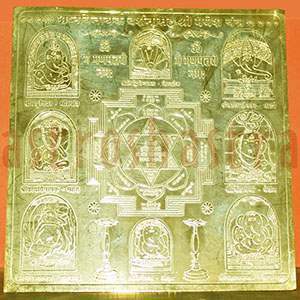 This yantra is made in copper with Gold Plating, very effective yantra for financial prosperity where all other methods do not bear fruits. 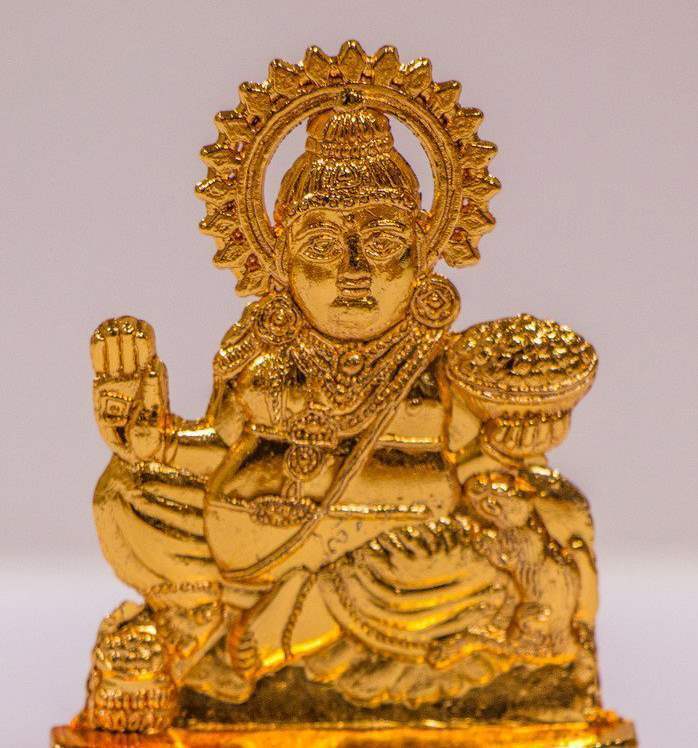 Kubera is lord of nav nidhis, padam, mahapadam, sankh, kachap, ukund, kund, kmakar, nil and varchasav, Yaksha, kinner and other prosperity giving deties are governed by Kuber. All this blessed by Lord Brahma on the wishes of Lord Shiva. The pooja of this yantra is performed on Dussehra, Dhan traydosi, Deepawali days also during yogas of Sun, Saturn and Sun, Jupiter. This yantra is kept in house temple, Cash box, almirah and in offices where financial transactions are made. 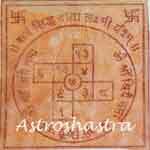 Astroshastra would provide you the energized Yantra in your name for financial stability and security. He is the lord of wealth, puja of Lord Kuber daily bless the person with immense wealth and financial security. It removes all financial difficulties. If Kubera is worshipped Lord Shiva and Lord Shukra automatically bestows their blessings. Astroshastra also presents a unique Kuber yantra in silver Pendant also for , which you can wear around you neck for blessings of Lord Kuber. It bestows the wearer or sadhak with Gold, Money and Wealth.